4 Why is the ASUNA 5150 Magnetic Bike one of the best exercise bikes? Brand new in 2017, this bike from ASUNA ticks all the boxes for those looking for a solid, commercial quality bike to use in the comfort and convenience of their own homes. Cycling is an ideal way to improve your health and fitness as it is a low-impact and safe workout for the heart, lungs and legs. Cycling on an exercise bike can help you to lose weight and improve your health parameters such as blood pressure and cholesterol profile. 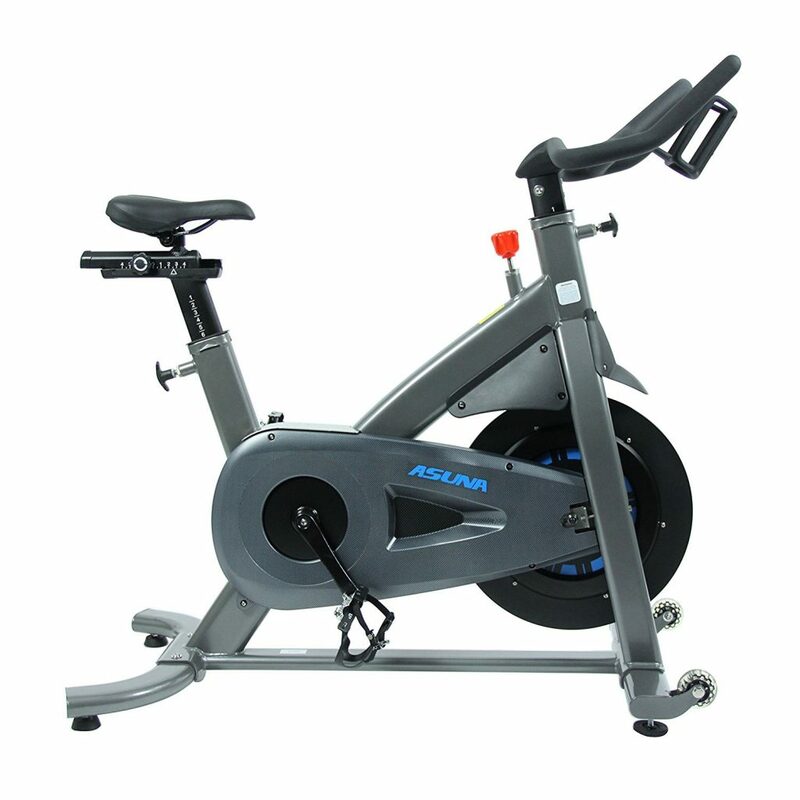 This ASUNA 5150 Indoor Bike can be utilised for workouts that are easy. It is also highly suitable for spinning and interval training sessions. The ASUNA 5150 Magnetic Bike has been released for sale just last year. The bike has been made by Sunny health products. Sunny are one of the most popular bike makers, have an excellent reputation for creating and developing good quality and sturdy exercise equipment suitable for home use. The ASUNA 5150 Magnetic Bike is regarded as a ‘commercial-grade’ bike which means it is one of the highest quality products that SUNNY have developed to date. This bike is therefore similar in build and structure to the types of bike you would find in a commercial gym. The frame of the ASUNA 5150 Bike is made from heavy duty steel and has been built to withstand years of use. This frame accommodates cyclists of all heights and builds, with a user capacity of up to 350 lbs. It is heavy and sturdy and will not move or slip during a workout. The lowest seat setting is 28″ (saddle to pedal) and the highest seat setting is 40″ (saddle to pedal). Why is the ASUNA 5150 Magnetic Bike one of the best exercise bikes? 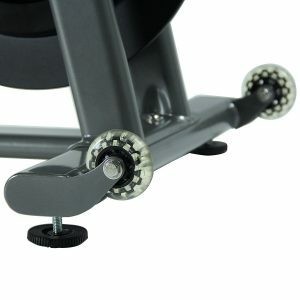 This commercial-grade exercise bike is built with a 37.5lb steel and aluminium flywheel. This is a heavy duty flywheel that will stand the test of time. More importantly, cycling the ASUNA 5150 Bike will feel like cycling outdoors. This ASUNA bike provides a smooth, natural ride with no clunking or jerky movements. Even at high speeds or high resistances levels, this flywheel is smooth and consistent with a near silent operation. Resistance can be altered by turning the knob located on the frame below the handlebars. 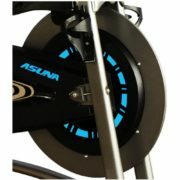 The ASUNA 5150 Bike uses micro-adjustable magnetic resistance technology (when the knob is turned clockwise or anti-clockwise, more/less magnets pass over the flywheel, subsequently increasing or decreasing drag. This allows resistance levels to be altered subtly without awkward or clunky gear changes. Proper foot placement is fundamental to a smooth riding experience. SUNNY have made this easy with reversible pedals. SPD clips are available on one side or a secure foot cage can be used on the other side allowing users to wear regular trainers if they so wish. Comfort and safety is the priority here with minimum risk of foot slippage. SUNNY products have pulled out all the stops when it comes to building a comfortable exercise exeperience. The ASUNA 5150 Magnetic Bike comes with a fully adjustable seat. This can not only be adjusted up and down but also forward and aft. This allows most users irrespective of height or body size to find the most comfortable seating position throughout their workout. The handlebars are covered in rubber foam allowing cyclists to grip comfortably, without slippage. The handlebars can also be easily adjusted so riders can customise to their own preference and attain optimal ergonomic placement. 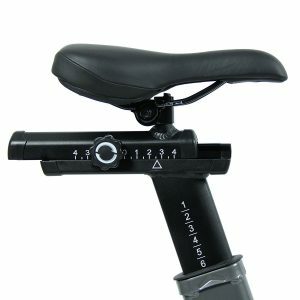 The highest handlebar setting is 44″ and the lowest setting is 40″. There is also a conveniently placed water bottle holder on the handlebar unit (which does not interfere at all with hand grip or position). The ergonomic design of the handlebar allow multiple positioning options for a truly comfortable and natural ride. The ASUNA 5150 Magetic Bike comes pre-assembled with a shipping weight of 123lbs. The main part of the bike (e.g. the frame, seat, flywheel, resistance mechanism and belt) are already assembled when delivered for your convenience. All you need to do is attached the stabilisers, pedals, handlebars and the water bottle holder. This should take around 20 minutes with minimal inconvenience. The ASUNA 5150 Magnetic Bike has convenient transportation wheels attached to the bike so it can simply be tilted and rolled into a suitable location. There is a 90 day manufacturer’s warranty on this bike. Brand new to the market, this is SUNNY product’s highest specification bike to date. It is a heavy-duty, commercial-grade bike ideal for cyclists that want to put in the miles and use this bike as a regular training device. Due to the shipping weight of the bike (around 110lbs), this bike could be be difficult to move into flats and apartments. It does however come with handy transportation wheels so once it has been assembled, moving the bike around shouldn’t be a problem. In summary, the ASUNA 5150 Magnetic bike is great for individuals that are of bigger build due to the fully adjustable seat and handlebars and the generous maximum user weight of 350lbs. This is without a doubt SUNNY’s most superior product and that is reflected in the build quality and sturdiness of the machine. This bike is regarded as a ‘commercial-grade’ bike which means it is one of the highest quality products that SUNNY have developed to date. This bike is similar in build, quality and structure to the bike you would commonly find in a commercial gym. 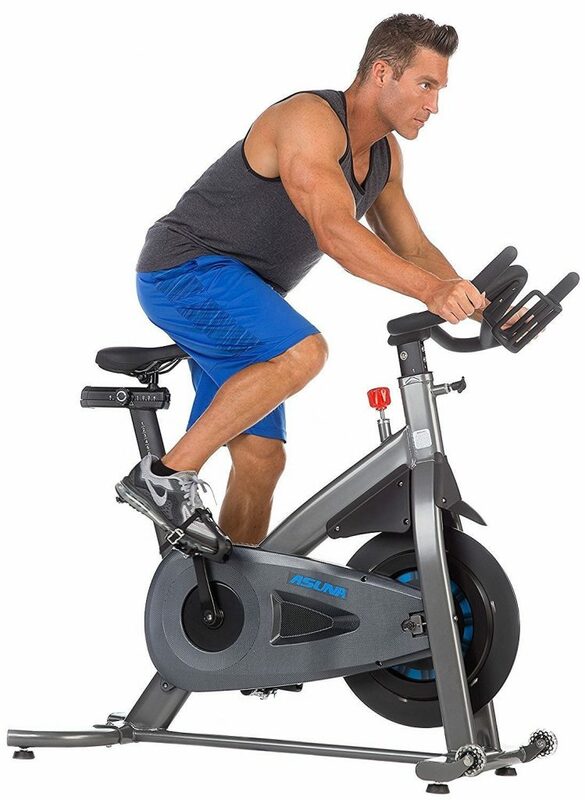 If you are looking for a superior product and a great way to work out in the comfort of your own home, then this is the bike for you.